Sam Presti's gamble paid off. 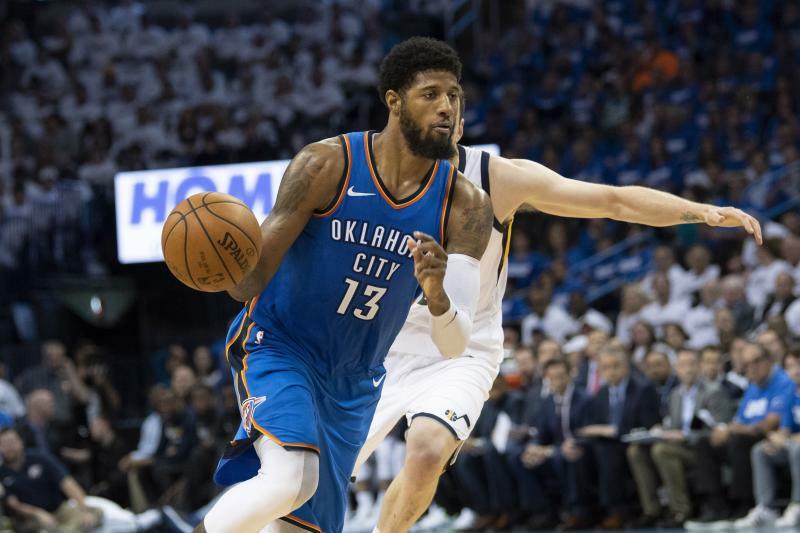 One year after the Oklahoma City Thunder shipped Victor Oladipo and Domantas Sabonis to the Indiana Pacers in exchange for Paul George, the five-time All-Star has reportedly agreed to extend his stay in the Midwest. According to ESPN's Adrian Wojnarowski, George agreed to a four-year, $137 million max contract that includes a player option in lieu of bolting for the Los Angeles Lakers. "I'm here to stay," George said late Saturday night during a party hosted by Russell Westbrook, according to ESPN.com's Royce Young. "We can bring it home." George didn't provide many hints publicly about where he was thinking about signing in the midst of a contract year, but he did speak highly of the Thunder. "This is a very savvy, smart organization," he told USA Today's Sam Amick in February. "They understand that they’re about winning, and some things take time. I don't think when they brought us together, it was something...(where) they thought this was going to be a team that was (winning) 60, 70 (games). I think they knew it was going to be an adjustment, us three coming together." The Thunder experienced their fair share of struggles during George's first year in Oklahoma City. Not only did he have to adjust to life as a second option alongside Westbrook, but Carmelo Anthony was also asked to morph into a dependable off-ball option to inconsistent results. Still, George produced stellar numbers in a new environment. Appearing in 79 games, he averaged 21.9 points, 5.7 rebounds, 3.3 assists and 2.0 steals en route to third-team All-NBA honors. He also developed a friendship with Westbrook that reportedly played a big role in his decision to stay. "This is a friendship decision to stay in OKC as much as anything," an executive told the New York Times' Marc Stein. Now, he will return to OKC in hopes of propelling the Thunder back above the 50-win threshold and into the Western Conference's elite tier of contenders alongside the Golden State Warriors and Houston Rockets.